No apologies for another view of a double BJ crossing this splendid structure. 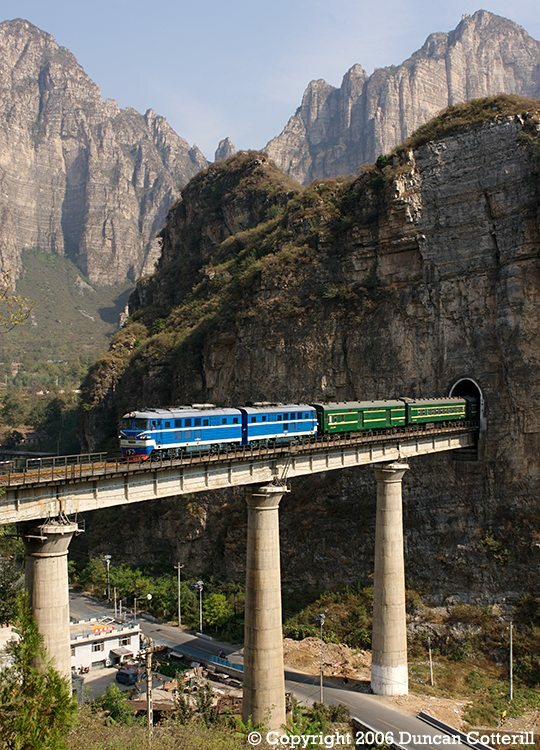 BJ 2003 and BJ 2007 led an unidentified westbound passenger out of the tunnel and across the bridge immediately east of Shidu station on 2 October 2006. The train was probably an additional working running for the week of the National Day holiday only.